Fireside Home Veterinary Care welcomes you to our website! I understand the special role your pet plays in your family and am dedicated to becoming your partner in your pet’s health care. I will treat your pet as I would my own. My goal is to practice the highest quality medicine with compassion and an emphasis on client education. 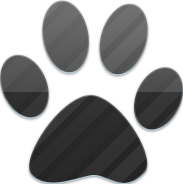 I offer thorough, personalized home veterinary care for dogs and cats in the Camas, Vancouver and Portland Metro area. Hours of availability are variable. Please call or e-mail to discuss scheduling an appointment- e-mail is often best! I will return calls at my earliest convenience but am not always available during normal business hours as I also work as a full-time firefighter/EMT. Prior to this I have worked for several years in traditional clinical veterinary practice. In providing in-home veterinary care I am looking forward to the ability to be more closely connected to my patients and clients in a more personal setting. I strive to work with clients to achieve the best care for their pets within their means and believe client communication is essential in helping clients make sound, informed decisions for their pets. I offer wellness exams, vaccines, routine lab testing, basic preventive/health care, and compassionate euthanasia services in your home. I also have an online pharmacy to provide delivery of many medications, flea/parasite control products etc right to your home! It is my commitment to provide quality veterinary care throughout the life of your pet. Practice limited to dogs and cats only.